Those are precious words from a young woman about her dad. He is not perfect, but he is her dad. Have they always agreed about everything? No, they haven’t. Did he understand every ‘girl’ thought that went through her mind? No, he didn’t. But in her eyes, he was the go-to guy. Neither scenario shared is about the perfect father. But in their eyes he was the perfect dad for them. 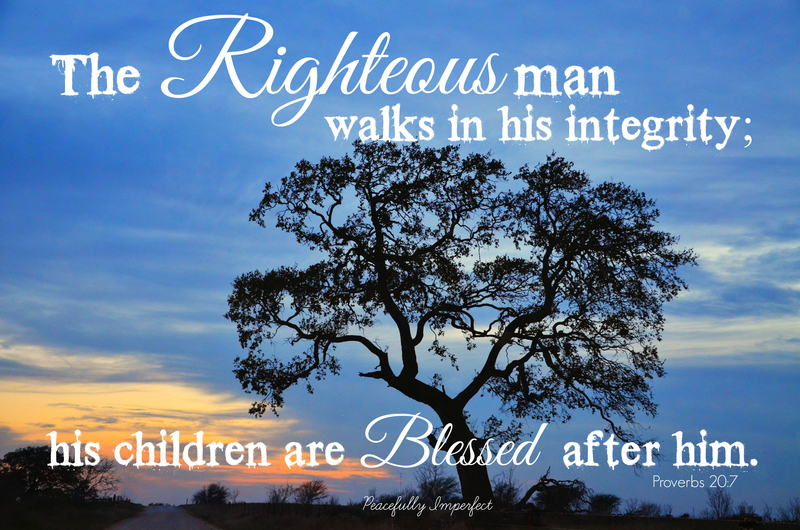 In their eyes his love for the Lord, his love for their mother and their family, along with his character and integrity are what makes him special. How comforting to know that despite our imperfections our Heavenly Father loves us unconditionally and serves as the perfect role model and example for us as we live this imperfect earthly life. A father serves as a role model for his children. He introduces them to scripture and guides them as to how they are to live their lives. His teachings are to be out of love for his children. And while parenting is not easy, it is the commitment godly fathers make as they raise children in a Christ-honoring manner. As you think about the ‘dad’ in your life, remember his guiding hands, his kind heart, and his love for the Lord. Remember he is a guiding light whose love shows you the way. On this Father’s Day take the time to thank him, love him, and honor him. Celebrate with him and share special memories. You’ll be so glad you did.